City Green is hiring more than a dozen high school students from Paterson and Clifton for the summer. 15 to 17 interns will be hired through the nonprofit’s Growing Strong program. Interns will be paid $9 an hour for 30 hours a week. Students will be provided lunch and a weekly bag of fresh farm produce. The program runs for eight weeks from June through August. Work as farm interns, who work the land at the Farm Eco-Center in Clifton, growing and harvesting vegetables, and bringing the produce to markets in cities across northern New Jersey. 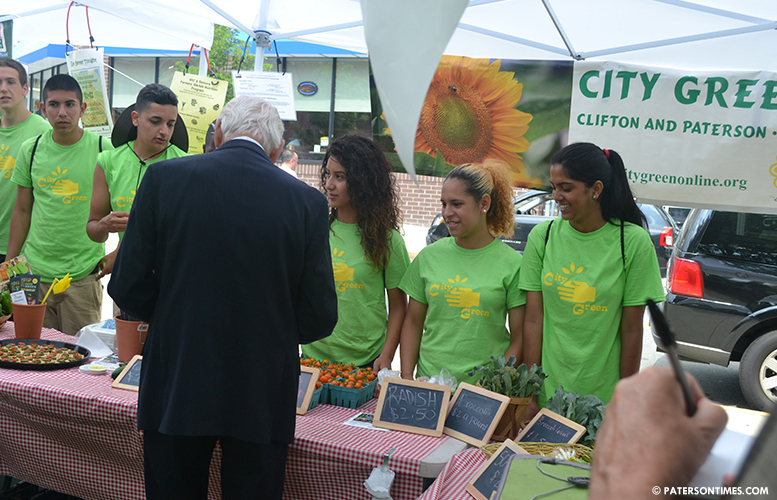 City Green runs several farm stands in Paterson during the summer, giving residents access to farm fresh produce. Farm interns learn to grow organic vegetables like tomatoes and radishes. They also set up farmer’s markets in their neighborhoods to sell produce directly to members of their communities, gaining customer service experience. Or work as garden camp counselors to help run the organization’s programs. Camp counselors work out of the main sites in Clifton or Paterson, leading activities for children about gardening nature, crafts, making simple meals from garden vegetables, and exploring nature. The interns also participate in the organization’s career-readiness workshops, learning life skills like writing a resume and applying for jobs. The internship is open to students in 9-12 grades, who reside in Paterson or Clifton. Apply at City Green’s website: https://www.citygreenonline.org/growing-strong.